What do you think? Should I? or not? 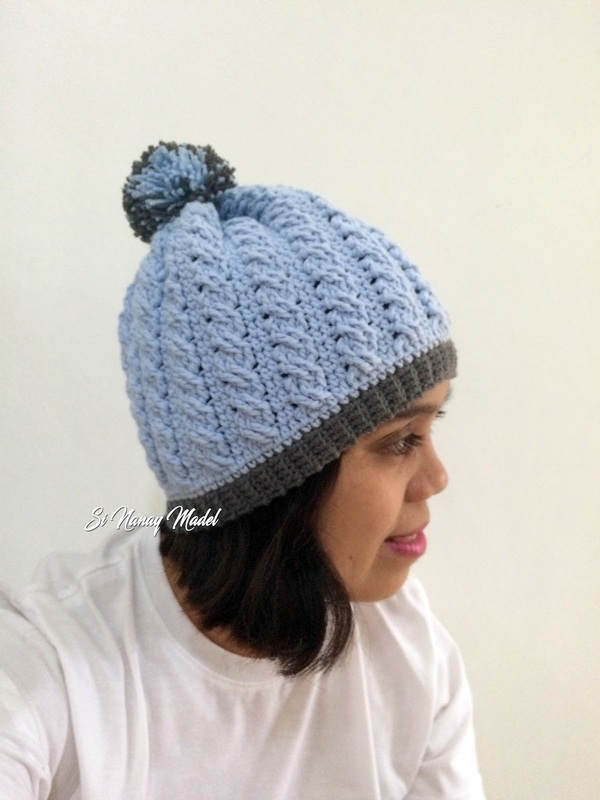 Is the pattern for this hat worth posting here? 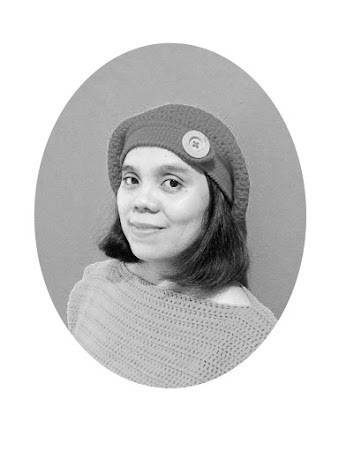 Anyways, let's get started with this hat that I am sharing you here. 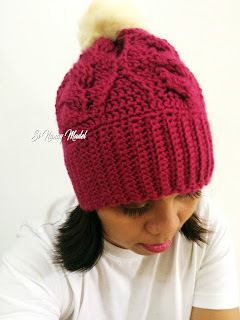 After so many attempts of making cable stitch hat, I finally settled for this simple hat. The pattern is easy and fast to make. *FPTC - Front Post Treble Crochet. Yarn over two times, Insert hook on the post of indicated stitch doing it in front, instead of the regular inserting on top of a stitch. Yarn over and pull up a loop, yarn over again and pull through two loops, yarn over again and pull through two loops, yarn over once more and pull through all loops. 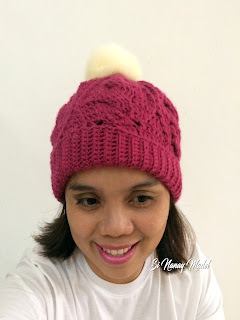 Here is Moogly's tutorial about post stitches. Row 2. SC on both loops in the first stitch, SC on Back Loops Only (BLO) in next 3 stitches, SC on both loops in the last stitch. Chain 1 and turn. (5 sc). Repeat Row 2 until the desired length of your ribbing is achieved. With my ribbing, I ended up to Row 96. *Some says that Row 96 is way too long for a ribbing. But please remember that I am using a #3 yarn in this pattern and a G hook. Join both ends of your ribbing by slip stitching each stitch together. Change the color of your yarn, chain 1 and turn your work on the right side. Repeat Round 3 and 4 respectively until you reached your desired length of your hat. But I think up to Round 26 will be long enough. Whatever Round you will stop make sure it is same as Round 4. We will begin to decrease our hat in preparation for closing the hat. Round 27. CH 1, SC in the first stitch, *skip 2 stitches, FPTC in the next 2 stitches, FPTC back to the 2 skipped stitches. SC dec in the next two unworked stitch. * Repeat till the end, ending with 1 sc in the last stitch. Join with a SL ST in first SC. Round 28. CH1, SC in the first stitch, *FPDC in next and the next 3 stitches, skip the next stitch* Repeat till the end, ending with a SC in the last stitch. Join with a SL ST in first SC. Round 29. CH 1, SC decrease all the way around. Join with a SL ST in first stitch. Round 30. CH 1, SC in all stitches around. Join with a SL ST in first stitch. Fasten off and leave a long tail. Long enough to run through all the stitches and closed the hat. Add your pompom by sewing it on the top of your hat using again the long tail end. 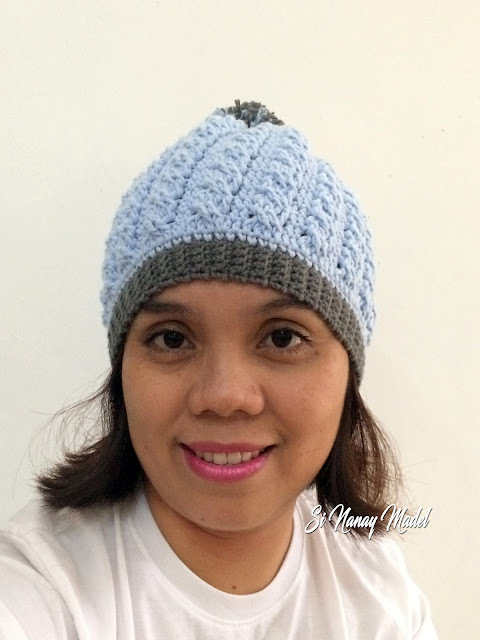 I am so happy on how my Cable Stitch Hat turned out. This is just a simple Cable Stitch technique. 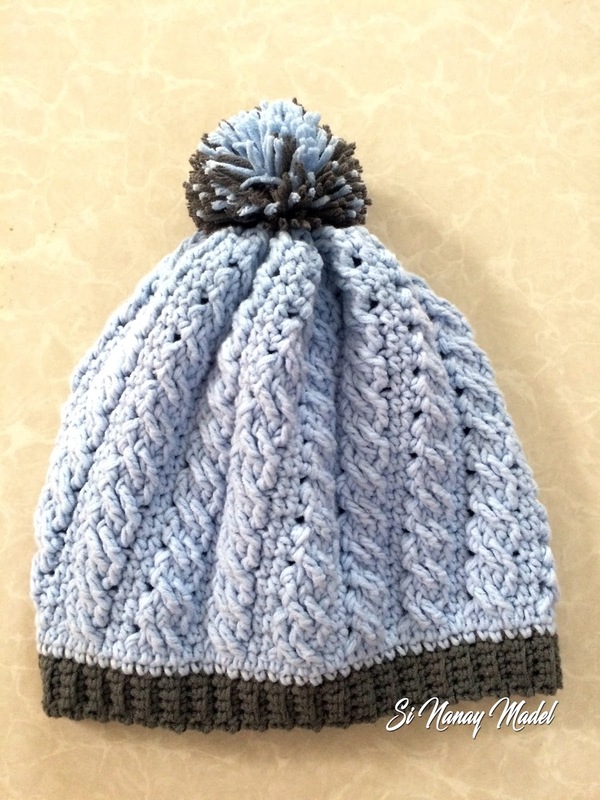 I might do another hat with much complex cable stitches. So I hope you will love this hat and try to make this also. Tell me what you think about it after and share me some photos of your finished project. I want to thank you for this informative post. I really appreciate sharing this great post. Keep up your work. Thanks for sharing this great article.Great information thanks a lot for the detailed article.